BRIGHT & SPACIOUS 2 Bedroom & a Den (or 3rd bedroom) TOP FLOOR, CORNER SUITE at the Landmark Regency! Large principal rooms, gorgeous mountain views, abundance of natural light. 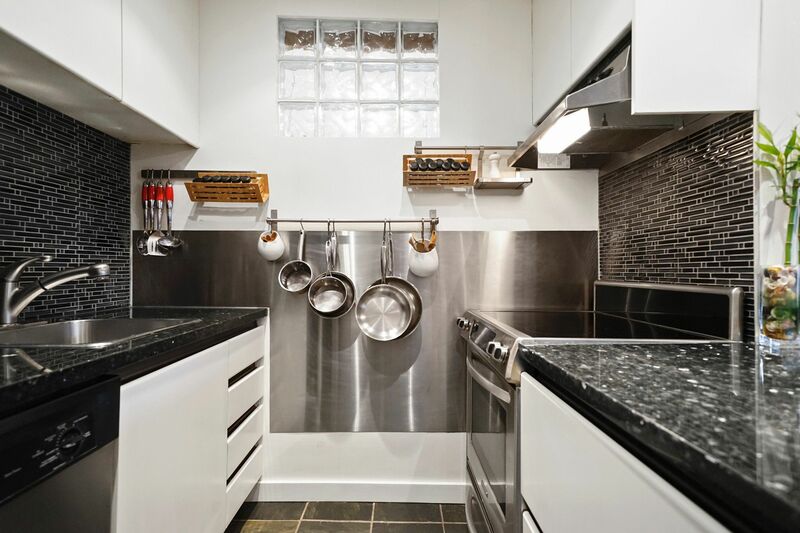 The Kitchen features granite countertops, stainless steel appliances, slate floors. 2 full Bathrooms with granite/slate floors, 1-deep soaker tub & shower. Hardwood flooring throughout. Well managed building, re-piped (2002), new roof (2012), healthy contingency. In-suite laundry for this unit is approved, free shared laundry in building. 1 parking + storage locker and bike storage. Fabulous central location minutes to South Granville & Kitsilano amenities, transit, Henry Hudson (K-7), Kitsilano Secondary (Fr Imm). Perfect for young families & downsizers.